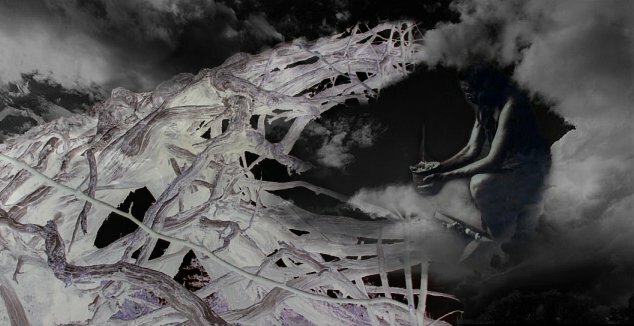 The Petroform sites are a teaching place, a healing place, one of those sites which have been referred to as a "door-way or portal to other worlds". They are physical reminders of instructions given to native people by the spirits. The native legends refer to the Whiteshell as the area that Anishinabe call "Manito Ahbee" (where God sits). They believe this the place where original man received his instructions. Petroform sites are rock and boulder arrangements that ancient shamans designed on the ground to serve many purposes. 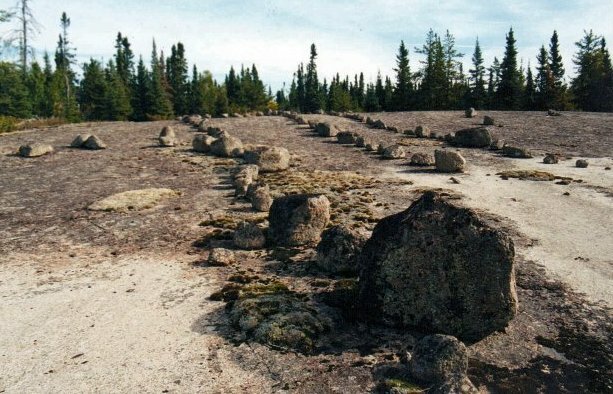 In Manitoba the biggest and oldest site is the Tie Creek area located in the Whiteshell Provincial Park. Here boulders were placed on flat rock out-crops of the Precambrian Shield. Depending on the age and location, the shapes are geometric symbols with human or animal shapes appearing in newer sites. 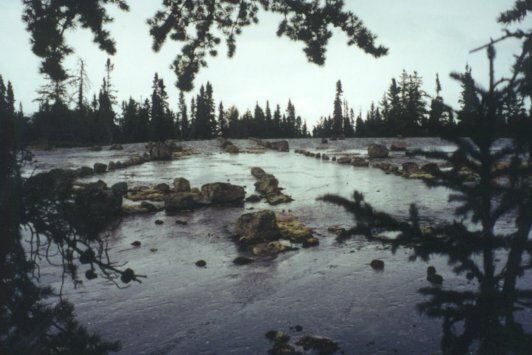 The largest site is the Tie Creek site and is the largest ancient site in North America. This site consists of a 10-acre main area with single element satellite sites in close proximity. 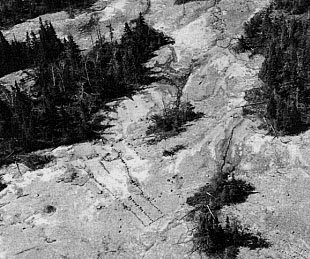 The primary Tie Creek site is believed to be 5000-2500 years old and consists of geometric symbols. My research on the site says it dates back to 8000 years with many additions to it as time went on. Thousands of years ago this primary site was hidden deep into the "back country" away from any trails or canoe routes. Today it is still hidden from the public, but for good reason, that being it’s very vulnerable to destruction. 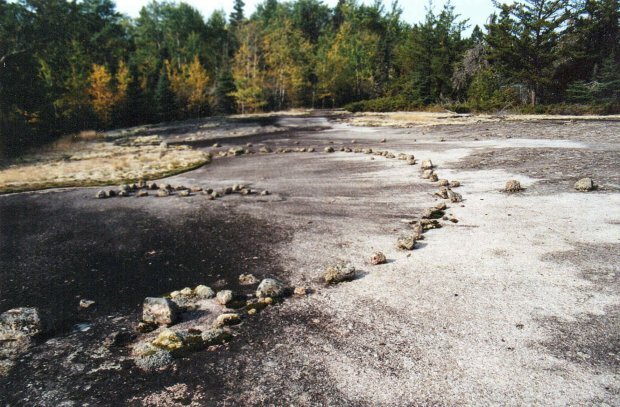 Archeologists believe that the Whiteshell sites in Canada are the start or nucleus of this cultural motif. 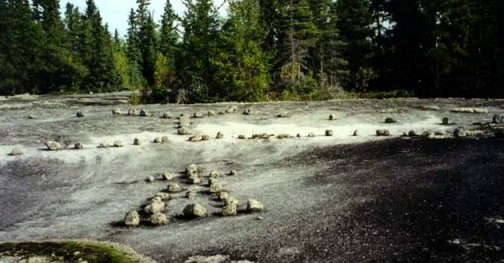 This is because the Whiteshell area contains most of the elements that the other sites in North America have. The other sites on this continent having only one or more elements while Tie Creek has them all. More Tie Creek and Whiteshell Petroform photos and diagrams.